Starting with 1470 Ştefan cel Mare builds a new strategy in the security politics of the eastern border of Ţara Moldovei. In the context of this strategy a new place was reserved to the city-fortress Orhei which became the central element in the protection of these borders. During this period Ştefan cel Mare established the administration of Orhei, which was governed in the next three decades by prominent persons of the time, members of Sfatul Domnesc (Prince’s Council): Radu Gangur, Galeș, Vlaicu with his son Duma, Grozea Micotici etc. Due to their high status they contributed to the growing role that the fortress from Răut had to play in the general defense policy of Ţara Moldovei. Orhei was a natural fortress endowed with supplementary fortifications built at different stages of its evolution, including in the period of Ştefan cel Mare’s rule, when with the help of the governors were built new fortification or repaired the old ones. Three fortifications date from this period: two big earthen and wooden wallums blocking the entrance in the settlement from the west and a stone citadel situated in the central part of Orhei city. An argument supporting the importance of Orhei fortress in the politics of the sovereign Ştefan cel Mare is the endowment of the fortress with fire artillery, fact which was documented archaeologically by the discovery of two splendid bronze canons. 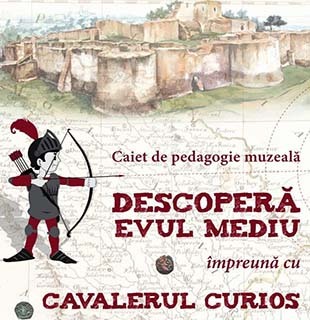 A new stage begins in the history of the fortress from Răut after the year 1494, when the governors of Orhei ceased to be members of Sfatul Domnesc, fact that lead to its gradual degradation and abandonment by the middle of the 16th century.